How Does a Tablet PC Work? Mobile computing has become nothing short of a necessity in the information age. Laptops, PDAs, and other digital communication and computer devices have quickly become imperative in conducting business for professionals that cannot be restrained to their office or homes all of the time. Rapid advances in technology have enabled device manufacturers to release products that were virtually unthinkable only a few short years ago. One of the most innovative and popular mobile computing innovations that has gained a great deal of popularity and support in recent years has been the tablet PC. The tablet PC is like a laptop computer with a twist. To interact with traditional laptops, users only have the options of utilizing the keyboard and touchpad. Tablet PC users can utilize the innovative touch screen to operate the computer using just fingers, or in some cases a stylus. Tablet PCs are designed to offer more mobility than laptop or notebook computers as you don’t have to fiddle with keyboards, mouses, or fold-out monitors. In a tablet PC, the computer is built directly into the monitor. How do Tablet PCs really work? Unlike regular computers, the key usage of tablet PC is ease of convenience while on the move. That is, mobility becomes an important factor while choosing or purchasing a tablet PC. Almost all tablet PCs come with touch screen enabled display. This makes it easy for an end-user to conveniently interact with the tablet. Many manufacturers also provide a stylus, which is a touch tool for interaction with touch screens. Every touch screen has a gesture or touch controller microchip which helps detect and process the touch interactions from the end-user. Accelerometer is a component that helps determine motions and movements in a tablet PC. This feature is widely used while playing games and in entertainment apps. Gyroscope is another such component which determines the orientation of a tablet display. That is, the display layout can change according to how you hold a tablet PC – vertically or horizontally. Graphics processor helps run graphic-intensive apps and games. It renders high definition pixels on the display. Network connectivity comes into picture when you talk of mobility. A user should be able to connect to the Internet via different types of networks depending on its availability. Wi-FI, GSM, LTE, CDMA and others are types of network connectivity. Tablet PCs can be plugged into a power source or can also run on recharged battery. This feature particularly helps in using it while on the move. GPS system helps you determine your location on apps like Google Maps. It is also used in apps that help navigate through cities and countries. There are several types of Tablet PCs and various models have different functions in order to fulfill the needs of different types of computer users. For instance, a businessman who uses a tablet PC may be interested in different functions and accessibility than someone who just wants a computer that they can use in bed. Tablet PCs include “booklet”, “slate”, “convertible”, and “hybrid” models. As technology gets better over the next year or so, there will undoubtedly be even more models of tablet PCs to choose from. A booklet tablet PC is a device that folds open like a book and has a screen on either side. Booklet tablet PCs are equipped with touchscreen functionality in both screens and comes with a stylus pen for additional support. This type of computer, as do many tablet PC models, has pen writing recognition software that allows you to actually write on your screen as if you were writing on paper and the computer will process it as computer text. Booklet PCs allow you to fold the device up and take it with and then unfold it to plan your schedules and projects, get on the Internet, play music and other media, read books, and even display a separate application on each screen for dual-monitor use. With a slate tablet PC, it is like you are carrying around a small flat screen TV as a computer. Slate computers do not have a keyboard and instead require the user to depend on the touch screen or a stylus pen to enter text and perform functions. 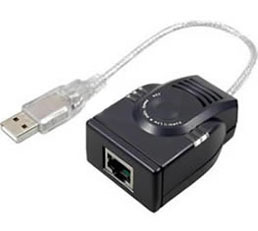 Of course, if you would rather have a keyboard, you can setup a wireless one or plug one in via USB port. Since the amount of moving parts has been decreased with the lack of a keyboard, slate tablet PCs are typically notably more resilient and can often be much smaller than other types of tablet PCs. The iPad is the most prominent example of a slate type of tablet. 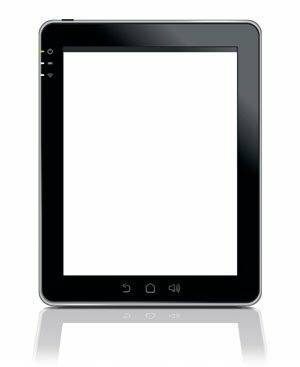 Convertible tablet PCs are a popular option for users that wish to retain the option of keeping their keyboard functionality while taking advantage of the convenience of the touch screen technology. Convertibles look almost identical to a traditional laptop when the lid is shut, however when the lid is opened, an innovative swiveling hinge allows the screen to turn a full 180 degrees, allowing the casing of the laptop to lie back against the keyboard. This allows the user to view the screen and interact with the laptop much as if it were a traditional paper notebook. Hybrid tablet PCs combine the best of both worlds by joining slate technology with the functions of a convertible. With a hybrid tablet PC, you can either use the monitor alone as a slate computer or attach a keyboard to it and have the monitor swivel around like a convertible. Hybrid tablet PCs come with both monitor and keyboard and simply allow you to detach the devices from each other whenever you want. The stylus pen and touchscreen functions are also included in this model. Please tell me how you can send a message on a tablet with no key board? I’m rocking a android upad please tell me,do I have to put a sim? Is there any requirement of SIM to run a tablet PC? How much can i get the booklet and the slate pls? 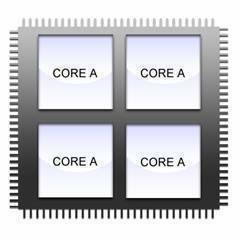 How Do Quad Core Processors Work? What is a Pressure Transmitter? How to Reset a Toshiba BIOS Password? What is a Print Spooler? What is a Print Server? What Are the Advantages of a Tablet PC? 470 queries in 0.580 seconds.